Krista Van Vleet’s research investigates intimacy and inequality in everyday life, particularly in relation to gender, kinship, and youth in the highland Andes. 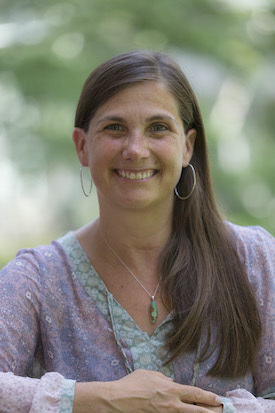 Specializing in cultural and linguistic approaches to understanding the affective and embodied dimensions of interpersonal interactions, her scholarship is based in long-term ethnographic fieldwork in Bolivia (1995-present) and Peru (2009-present). She is the author of Performing Kinship: Narrative, Gender, and the Intimacies of Power in the Andes and of numerous articles that focus on the experiences of indigenous Andeans and rural-to-urban migrants in Bolivia. 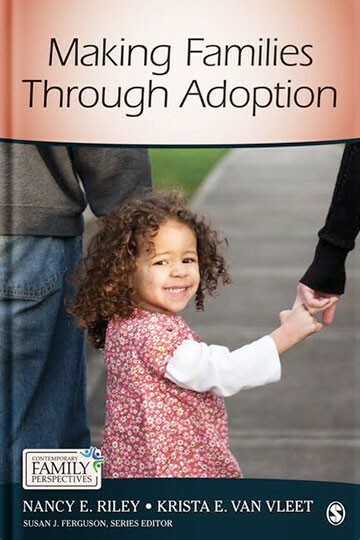 She is co-author of Making Families through Adoption. Currently, Professor Van Vleet is engaged in two ethnographic projects. The first explores the ways that caring for and caring by adolescent mothers produces moral hierarchies that are intertwined with neoliberal insecurities and broader discourses of gender, family, and citizenship in contemporary Peru. The second examines religion, personhood, and social transformation among native Andeans in Bolivia through six intertwined life histories. (2017) “Diving into the Gap: Reflections on “Words” and “Voices” in Monologism.” The Monologic Imagination. Edited by Matt Tomlinson and Julian Millie. New York: Oxford University Press. (2016) “Ethnology of the Southern Highlands.” Handbook of Latin American Studies: No. 71, Social Sciences. Prepared by a Number of Scholars for the Hispanic Division of The Library of Congress. Edited by Tracy North and Katherine D. McCann. Austin: University of Texas Press. (2014) “Ethnology of the Southern Highlands.” Handbook of Latin American Studies: No. 69, Social Sciences. Prepared by a Number of Scholars for the Hispanic Division of The Library of Congress. Edited by Tracy North. Pp. 125-138. Austin: University of Texas Press. (2011) “On Devils and the Dissolution of Sociality: Andean Catholics Voicing Ambivalence in Neoliberal Bolivia.” Anthropological Quarterly (Special Issue “The Ethics of Dissolution,” Ilana Gershon and Alice Alexy, eds.) 84(4):835-864. (2010) “Narrating Violence and Negotiating Belonging: The Politics of (Self-) Representation in an Andean Tinkuy Story.” Journal of Latin American and Caribbean Anthropology. 15(1):195-221. (2009) “I had already come to love her”: Raising Children at the Margins of the Bolivian State.” Journal of Latin American and Caribbean Anthropology (Special Issue: “Adoption in Latin America”) 14(1):1-23. (2008) Performing Kinship: Narrative, Gender, and the Intimacies of Power in the Bolivian Andes. Austin: University of Texas Press. (2005) “Dancing on the Borderlands: Girls (Re)Fashioning Kinship and Citizenship.” In Natives Making Nation. Andrew Canessa, ed. Pp. 107-129. Tuscon: University of Arizona Press. (2003) “Adolescent Ambiguities and the Negotiation of Belonging in the Andes” Ethnology 42(4):349-63. (2003) “Partial Theories: Gossip, Envy, and Ethnography in the Andes” Ethnography 4(4):1-29. (2002) “Repensando la violencia y el parentesco en los Andes de Bolivia.” T’inkazos 5(12): 11-39. La Paz, Bolivia: PIEB. [(2003) “‘Now my daughter is alone’”: Rethinking Kinship and Violence in the Andes.” T’inkazos: Anthology, 1998-2002 14:55-79. (2002) “The Intimacies of Power: Rethinking Violence and Kinship in the Andes.” American Ethnologist 29(3):567-601. I am a cultural anthropologist with expertise in gender, kinship, and sexuality; affect, embodiment, and moral experience; religion and globalization. I have conducted long-term ethnographic fieldwork in the Andean highlands of Bolivia (1995-present) and Peru (2009-present). I am currently engaged in two different research projects in which I mobilize narrative and visual methodologies to investigate various dimensions of interpersonal intimacy and the production of inequality in everyday life. Intimate Insecurities: Moral Dilemmas and Everyday Engagement among Young Mothers in 21st Century Cusco (book manuscript in preparation) is grounded in ethnographic fieldwork among youth who are institutionalized in public and private (religious and secular) orphanages in and around the city of Cusco, Peru. This project explores the ways young women endeavor to create a “good life” for themselves and their children in a context where global humanitarian practices, state policies and structural inequalities, and affective social relations are mutually entangled. I document the ways these mostly poor and indigenous girls navigate an array of state and institutional policies and moralizing public discourses as they interact with each other and with foreign and national NGO staff and volunteers. Using linguistic and cultural analysis this project enriches understanding of the hierarchies implicated in both caring by and caring for young mothers. Intimate Insecurities also highlights the ordinariness of moral experience. As they struggle with personal dilemmas, navigate everyday contingencies, and envision the compelling concerns of their lives, young mothers rehearse and reconfigure senses of self and ethical social relations. Thus, Intimate Insecurities extends beyond a depiction of reproduction, or single motherhood, to illuminate moral engagement among youth in circumstances simultaneously precarious and hopeful. My new research project, Fragmented Lives illuminates the social, affective, and cosmological underpinnings of life in the Bolivian Andes by focusing on stories of social fragmentation. The “loss” of a loved one—for instance, through death—is ubiquitous in peoples’ lives. However, the meanings of relationships, and the processes through which relationships are reconfigured, vary considerably across cultural contexts. In the contemporary Andes, situations such as death, migration, and religious conversion require individuals to undertake both mundane and exceptional actions to undo or reconfigure social, emotional, and economic ties. Moreover, for indigenous Bolivians each of these situations serves as an arena in which human beings encounter supernatural beings and non-living beings as well as other human beings. Based on the intertwined life histories of six individuals, this research project contributes to broader discussions of personhood, sociality, and the boundaries between human and non-human. My previous research projects have focused on Quechua-speaking peasants and rural-to urban-migrants in Bolivia, resulting in several articles and an ethnographic monograph. The monograph, Performing Kinship: Narrative, Gender, and the Intimacies of Power in The Andes (2008, University of Texas Press), explores the talk and actions through which “relatedness” is produced and negotiated among indigenous Andeans in the rural highlands of Bolivia. The book intertwines personal narratives, gossip, folk stories, and interviews with detailed ethnographic observation to explore adoption and fostering, conflict among siblings, intimate violence among women and between women and men, and changing marriage practices. In addition, I have conducted ethnographic fieldwork in the cities of Sucre and Cochabamba, Bolivia among rural-to-urban migrants. One strand of investigation analyzes everyday storytelling or narrative and the negotiation of identity (e.g. of masculinity and ethnicity in stories of ritual battles or of religious identity in narratives of devil possession). A second strand explores informal adoption in Bolivian urban spaces. My second book Making Families through Adoption (written with sociologist Nancy Riley) explores social inequality and adoption from a cross-cultural perspective. I teach a variety of courses, many of which are cross-listed with the Latin American Studies Program and the Gender, Sexuality, and Women’s Studies Program. Courses at the introductory-level encourage students to develop familiarity with concepts in cultural anthropology and their relevance for understanding the contemporary world; intermediate-level courses foster deeper understanding of regionally- and topically-specific scholarship and ethnographic research methodologies; and advanced-level courses challenge students to engage in their own research as well as in-depth discussions of theory and ethnography. All of my courses enrich students’ understanding of the intersection of multiple aspects of inequality in lives of people in Latin America and elsewhere in the world.